Well its back to work today for me! Hope some of you out there are still enjoying summer for a little while longer. As I hopefully get to dig things out of my cupboards and shelves I know I will come across some of my favorite things. #1 on my list I actually have at home ...MY LAMINATOR!! I wanted to publish several other posts last week, but ended up really working hard to get things created, printed and laminated for school this coming week. Early in the week, I found out the air conditioning into my classroom broke down last week spilling water everywhere. When the A/C was finally repaired and the ceiling tiles replaced; as the ceiling is where the A/C lives, the custodial staff was getting ready to rewax the damaged floors and a portion of the school my classroom is in had an unexplained electrical outage. GO FIGURE!!! Should I take this as bad omen for the year to come? Or am I just getting the "bad" out of the way now! Anyway, as of this morning, the floors will be having their last coat of wax applied and hopefully I will have access to the room following our welcome meeting. Since I wasn't able to go work in my room and start my setup, I concentrated on getting all my centers ready to go and laminated. Laminating!! I LOVE laminating! I LOVE MY LAMINATOR! There I've said it. I know! It seems silly! But here is the truth. My laminator is one of 5 things I could NOT teach without. It saves me so much time having to remake things because the games and cards are protected from damage. One of the first things I did when I returned to special education 10 years ago was to invest in a good heavy duty laminator and that turned out to be an excellent purchase. I purchased it from www.usi-laminate.com . This laminator has seen me through every visual I have ever wanted to make. 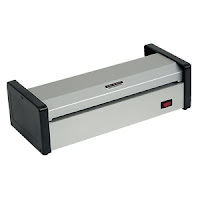 This is a pouch laminator which will take laminate up to 15 ml thick. I usually use 5, 7 or 10 ml. This laminator has variable temperature settings for different thicknesses of film and one of the best things is, it takes only 5 minutes to warm up and be able to use it. Its such a fabulous dependable machine. Whereas I splurged somewhat on my laminator, I have consistently used some of the most inexpensive laminate around until earlier this summer when I saw some laminate my sister had done and it was pristine. So after finding out that she was using laminate from the same place I had purchased my laminator, I decided to try a test. So I tested my cheaper laminate 7 ml with USI Opti clear 7 ml. Here is a picture of the Opti Clear Laminate I tested. The Opti-Clear laminate is almost invisible. It totally clear and is even easier to cut. This is the cheaper version. I have noticed it tends to warp more and bubble a little as well. I may just be sold on spending a little more money for better quality. Today's freebie contains 12 activity cards with crayons on them. Cut them apart, laminate them and the students can write on them. 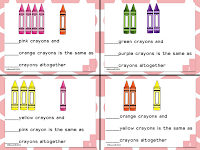 All the students need to do is count crayons and enter the amounts on the lines on the cards. 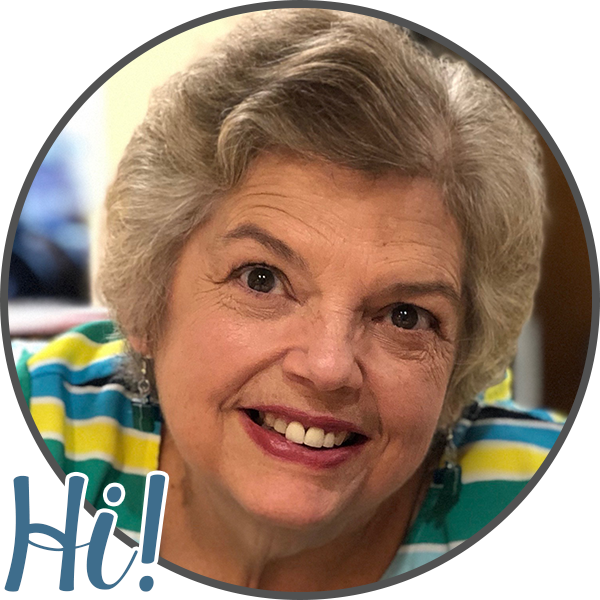 and checkout Manic Monday with the button below for more free items from other bloggers.